Sound Bites went into production in September of 2011, with support from the Town Creek Foundation. The purpose of the Sound Bites series is twofold: 1) to engage and inform the public around the current food system on the Delmarva Peninsula and in the Chesapeake Watershed; and 2) to assist in envisioning and realizing a future food system that is more sustainable and healthy for the environment and that provides nutritious food to all people, regardless of income or circumstance of birth. What is the history of our current food system? How did we get to where we are? What are the issues that make the current system desirable or undesirable? What are the challenges (health, environment, animal welfare, cost, access/food security, justice)? Are there current models of how to change? Do “out of the ordinary” programs exist now? What would a more sustainable future look like? To address these questions, the Sound Bites segments feature interviews with farmers, students, community members, town hall participants and panelists, activists, writers and historians. In addition to on-air discussions, CEM also participates in and/or hosts a number of public town hall meetings around food system issues. Center for Emerging Media has partnered with a number of organizations on the Sound Bites series, to inform its direction and expand its reach. These partner organizations include: Maryland Department of Natural Resources, Partnership for Children and Nature; Future Harvest-CASA; Center for a Livable Future, Johns Hopkins University Bloomberg School of Public Health; Out of the Fire Restaurant, Easton, MD; Center for the Environment and Society, Washington College, Maryland; Cottingham Farm; Five Seeds Farm; Maryland Department of Agriculture, Maryland’s Best program; Chesapeake Bay Trust; Baltimore Urban Agriculture; Eastern Shore Land Conservancy; Real Food Challenge; Food and Water Watch; and the Waterkeepers Alliance. Soundbites: The Peoples Climate March & Renewable Energy In Maryland- April 13, 2017 - Segment 2 - We hosted the newest edition of our series on our food and our world, Sound Bites. We continued our countdown to the Peoples Climate March, taking place in DC on April 29. We talked about what renewable energy means for the country under Trump as well as for Maryland, specifically. Sound Bites: Climate Change and The Future- April 6, 2017 - Segment 3 - We hosted the latest edition of Sound Bites, our series on our food and our world. We examined the historical context of the climate change debate, and then hosted a diverse panel of guests who considered the reality of climate change and how to effectively talk about it. Soundbites: the Chesapeake Bay, Sustainable Food, & Fracking- March 30, 2017 - Segment 2 - We hosted the newest episode of our series about our food and our world, Sound Bites. We began with Chesapeake Bay Foundation President William C. Baker. Then, Bruce Friedrich, Executive Director of The Good Food Institute joined us, and finally Steiner Show Senior Producer Mark Gunnery talked with Mitch Jones. SoundBites: The Future of Environmental Activism, and the Chicken Box- March 16, 2017 - Segment 2 - We hosted our newest episode of Sound Bites, our series on our food and our world. we examined what environmental protection and activism will look like under the Trump administration. We also took a special look at a Baltimore staple - the Chicken Box! Sound Bites: EPA Under Trump and Fracking in Maryland- March 9, 2017 - Segment 3 - Then, it's the newest episode of our series on our food and our world, Sound Bites. We begin the hour with a look at the EPA under the Trump administration. Sound Bites: Climate Change and Oyster Restoration- February 23, 2017 - Segment 2 - We bring the newest edition of our series on our food and our world, Sound Bites where we talk about climate change and oyster restoration. Soundbites: Environmental Bills, Fermentation, & Immigration- February 16, 2017 - Segment 3 - We hosted our newest episode of Sound Bites, our series on our food and our world. We began the segment with a couple environmental bills currently before the Maryland Legislature, then discussing fermentation and Immigration and the Food Industry. Sound Bites: Maryland Bills on Hunger & Pollution | Afro-Veganism- February 9, 2017 - Segment 3 - In our latest edition of Sound Bites, we begin the hour with important bills introduced in the Maryland General Assembly, then continue with a conversation on Afro-veganism and discuss some upcoming vegan events. SoundBites: Future Harvest & Trump’s EPA- January 26, 2017 - Segment 2 - We hosted our newest episode of Sound Bites, our series about our food and our world. We began the episode with a panel Marc moderated entitled "Cultivate the Chesapeake Foodshed." and then hosted a conversation about Trump's pick to run the EPA, Scott Pruit. Sound Bites: Farming in Baltimore / Agribusiness- January 12, 2017 - Segment 3 - We will be talking food and farming projects in Baltimore and have a discussion on Agribusiness and research. Sound Bites: Future Harvest Conference / Governor Hogan Environmental Plan- January 5, 2017 - Segment 2 - We begin with a preview of an upcoming event: Future Harvest CASA's 18th Annual Conference, Cultivate the Chesapeake Foodshed. Then, a look at Governor Larry Hogan's 2017 Environmental Legislative Agenda. SoundBites: Biggest Food & Agricultural Stories, Statewide Food Charter- December 22, 2016 - Segment 3 - We host our newest edition of Sound Bites, where we reflect upon some of the biggest food and agriculture stories of 2016 with Tom Philpott. We then take a close look at the initiative in Maryland to begin a statewide Food Charter with our guests Christine Bergmark and Denzel Mitchell. SoundBites: Environmental Justice & Fracking- December 15, 2016 - Segment 2 - We host for you the newest episode of our series on our food and our world, Sound Bites. Our guests will discuss The Future of the Environmental Justice Movement Under the Trump Administration as well as a report on how fracking produces tons of radioactive waste. Sound Bites: Fracking / John Ikerd- December 1, 2016 - Segment 3 - Sound Bites focuses on fracking in Maryland and we bring you a powerful speech from Dr. John Ikerd on the dangers of CAFOs. Sound Bites: Industrial CAFOs, Economics, and Public Health in Delmarva- November 17, 2016 - Segment 2 - The newest episode of our series on our food and our world, Sound Bites. Listen in to a powerful town hall meeting recorded last week in Salisbury: Industrial CAFOs, Economics, and Public Health in Delmarva. Sound Bites: Election Coverage- November 3, 2016 - Segment 2 - As we approach Election Day, our panel of guests will examine how the results of national, state, and local elections could affect the environment, agriculture, and food policy. Sound Bites: Diversifying the Basket / Maple Syrup / Sour Beef- October 27, 2016 - Segment 2 - On this episode of Sound Bites we speak with members of Fair Farms Maryland, take a moment to talk about Folk Life with a story on Maple Syrup and a story on Sour Beef and Dumplings. Sound Bites: Wenonah Hauter’s Frackopoly- October 20, 2016 - Segment 2 We have our newest episode on our food and our world, Sound Bites. This week Wenonah Hauter, Founder and Executive Director of Food & Water Watch. Sound Bites: MD Solar Congress / End-Dependence Day- October 6, 2016 - Segment 2 - We have two event previews on this week's Sound Bites. One is for the MD Solar Congress in Annapolis, another is the End-Dependence Day at #WorldFoodDay2016 at Pleasant Hope Baptist Church in Baltimore. Sound Bites: Changes to Perdue’s Chicken Treatment Policies | Fracking & Radioactive Waste | Food Justice in Baltimore- September 29, 2016 - Segment 2 For Sound Bits we focus on Perdue's new humane practices, the radioactive waste from fracking and a special piece about a food justice event at Lexington Market. Sound Bites: Bayer and Monsanto | Hip Chick Farms- September 22, 2016 - Segment 3 - In our newest episode of our series on our food and our world, Sound Bites, we begin the hour with a look at Bayer's takeover of Monsanto and we close the show at with a look at a special agricultural operation and sustainable artisanal food production company, Hip Chick Farms. Sound Bites: Water Rates, Sewage Infrastructure and Death of Bees- September 15, 2016 - Segment 3 - On the newest edition of Sound Bites, we discuss the increase in cost of water bills in Baltimore, sewage infrastructure issues, and the death of bees that is being brought about by spraying for mosquitoes. Sound Bites: Sperm Whales / Urban Farming- September 8, 2016 - Segment 3 - Listen in to a fascinating discussion on the language of Sperm Whales and a visit to the urban garden at Frederick Douglass High School in Baltimore. Sound Bites: Pollution and Urban Foraging- September 1, 2016 - Segment 2 - In our latest episode of Sound Bites, we discuss the State of Maryland's ettlement with NRG Energy; urban foraging; and pollution of Maryland waterways. Sound Bites: Tha Flower Factory / Young Farmers / Dr. Margaret Gray- August 25, 2016 - Segment 3 - We speak with founder and owner of Tha Flower Factor, have a Young Farmers Roundtable and talk to the author of a Jacobin article about "The Dark Side of Local." Sound Bites: The 300 Pound Vegan and a Seasonal Recipe- August 18, 2016 - Segment 4 - In our latest episode of Sound Bites, we meet David Carter, also known as the 300 pound vegan, former NFL player Food justice and animal rights activist, and talk about the Vegan Soulfest. Sound Bites: Vegan SoulFest / Clean Energy Jobs Act- August 11, 2016 - Segment 2 - We have a Sound Bites that features organizers from the Vegan Soulfest as well as a discussion on Governor Hogan's veto of the Clean Energy Jobs Act. Sound Bites: Baltimore Ecosystem Study- August 4, 2016 - Segment 2 - In our latest edition of Sound Bites, our series about our food and our world, we speak with participants from the Baltimore Ecosystem Study, a consortium of long-term research projects examining Baltimore's ecosystem. Sound Bites: Oyster Wars, When It Comes To Food, & The Air-Conditioned World- July 28, 2016 - Segment 2 - We host our newest episode of our series on our food and our world: Sound Bites! We with a look at a recent article in the Baltimore Sun, "Oyster wars: Watermen aim to take back oyster bars as state panel reviews shellfish sanctuaries." With: Kelton Clark, and Peyton Robertson. Then we are joined by Tom Philpott discussing an article her wrote for Mother Jones. Finally, we are joined by Katie Herzog to discuss a paper she wrote regarding air-conditioning and its relation to climate change. Sound Bites: Controversy Over GMO Labeling | What A Fish Knows | Recipe: Seasonal Salad By Colette- July 21, 2016 - Segment 3 - On the newest episode of Sound Bites, we look at the controversy over the GMO Labeling bill that passed through Congress, we talk to Dr. Jonathan Balcombe about 'What A Fish Knows,' and get a recipe for seasonal salad. Sound Bites: Reducing Runoff In Baltimore By December 2018 | The Waterwomen Of The Chesapeake Bay- July 14, 2016 - Segment 2 - First an update on the Federal deadline to reduce runoff. 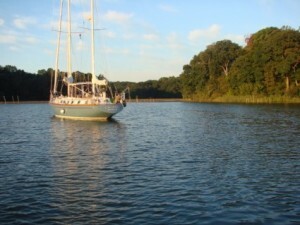 Next we have a talk with Lydia Woolever who wrote a story on Waterwomen of the Chesapeake Bay. Sound Bites: Michael Pollen’s ‘In Defense Of Food’ & Student Access To Healthy Foods- July 7, 2016 - Segment 2 - We host our newest episode of Sound Bites, our series about our food and our world. This week features a panel discussion I moderated last week at Busboys and Poets in Hyattsville. It was part of the Focus In! Film series, sponsored by Fair Farms and Crossroads Community Food Network. The evening began with a screening of the film "In Defense of Food," featuring Michael Pollan, author of a number of books including The Omnivore's Dilemma, and The Botany of Desire. Sound Bites: Changes to Perdue’s Chicken Treatment Policies | Fracking & Radioactive Waste | Food Justice in Baltimore- June 30, 2016 - Segment 3 - In our latest episode of Sound Bites, we discuss changes to policy that Perdue announced regarding how they raise and slaughter chickens, how fracking produces radioactive waste, and hear a special segment on a food justice event at Baltimore's Lexington Market. Sound Bites: Town Hall on Industrial Poultry Production on the Eastern Shore, Part 2/2- June 9, 2016 - Segment 3 - On our newest episode about our food and our world, Sound Bites. You will hear the broadcast of Part 2 of a town hall I moderated a few weeks ago in Salisbury. The impetus for the town hall was a proposed poultry operation in Wicomico Country that would include up to thirteen chicken houses, each holding 30,000 chickens. Sound Bites: Town Hall on Industrial Poultry Production on the Eastern Shore, Part 1/2- June 2, 2016 - Segment 3 - It's our newest episode about our food and our world, Sound Bites. We hear a broadcast of a town hall Marc moderated a couple weeks ago in Salisbury about industrial poultry production on the Eastern Shore. Sound Bites: A Visit To Black Dirt Farm On The Eastern Shore| Carbon-Neutral Fertilizer | Recipe: Mussels With Colette’s Stefano Porcile- May 26, 2016 - Segment 3 - For the newest episode of Sound Bites, we visit Black Dirt Farm in Preston, Maryland; I talk with two scientists about an important scientific advancement that could pave the way for a potential breakthrough in farming; and hear a mouth-watering recipe from mussels. Sound Bites: The Language Of Sperm Whales | A Visit To The Urban Garden At Douglass High School In Baltimore- May 19, 2016 - Segment 3 - On the newest edition of Sound Bites, listen to a fascinating discussion on the language of Sperm Whales, as I talk with author and journalist James Nestor. We close out the show with a visit to the urban garden at Frederick Douglass High School in Baltimore. Sound Bites: Health Of The Inner Harbor | Is The Hogan Administration Being Easy On Polluters? | Urban Farming & Health Initiatives In Baltimore’s Park Heights Community- May 12, 2016 - Segment 3 - We host a brand new episode of Sound Bites, our weekly segment where we analyze important issues concerning food, agriculture, and the environment. Our guests will talk about the health of the Chesapeake Bay and consider whether Governor Larry Hogan's administration is being strict enough about pollution in the Bay. Sound Bites: Urban Agriculture In Baltimore Schools | Chef Egg’s Interactive Cooking Programs- May 5, 2016 - Segment 3 - We host our newest episode of Sound Bites, our series about our food, our environment and our world. We'll talk about a new youth urban agriculture initiative at Frederick Douglass High School in West Baltimore and with the host of Chef Egg's Cooking Eggsperience. Sound Bites: Young Baltimore Activist Wins Goldman Environmental Prize | America’s Wasteful Obsession With Bottled Water | Recipe: Spaghetti Aglio e Olio- April 28, 2016 - Segment 2 - We host our newest edition of Sound Bites, our series about our food and our world. We interview with Destiny Watford, a young activist from Baltimore who won the Goldman Prize, learn about America's growing obsession with bottled water, and hear a simple pasta recipe. Sound Bites: How Environmental Legislation Fared In The 2016 Maryland General Assembly | Pollinator Protection In MD | New Baltimore City Sustainability Plan | Recipe: Passover With Michael Twitty- April 21, 2016 - Segment 2 - On Sound Bites, we take a look at how agricultural and environmental legislation fared in the 2016 Maryland General Assembly, we learn how Maryland could become the first state to pass restrictions on consumer use of neonicotinoids, we hear about the new Baltimore city-wide sustainability plan, and get a Passover recipe. Sound Bites: The Color Of Food | How Race & Agriculture Intersect- April 7, 2016 - Segment 3 - On Sound Bites, we discuss Natasha Bowens' 'The Color of Food: Stories of Race, Resilience and Farming' and discuss the ways that race intersects with agriculture and our food movement. Sound Bites: Fairfield Incinerator Permit Expires | Phosphorus Regulation In Maryland | Food Educator Jennifer Crisp- March 31, 2016 - Segment 2 - On our newest episode of Sound Bites, we discuss the proposed Fairfield Incinerator in Curtis Bay, the Maryland Department of Agriculture's announcement earlier this month that 82% of farm fields will not be impacted by new environmental regulations, and we talk to food educator and documentary producer Jennifer Crisp. Sound Bites: Impact Of Sewage Pollution In Baltimore’s Harbor | Detroit Black Community Food Security Network | Recipe: Palestinian Easter Kaik With Dates- March 24, 2016 - Hour 2 - On Sound Bites, we get an update on the state of sewage pollution in the Baltimore Harbor. Then, we talk with Malik Yakini, Executive Director of the Detroit Black Community Food Security Network, and get a Palestinian Easter recipe from Laila El-Haddad. Sound Bites: Sandtown–Building a Model for Food and Jobs- March 17, 2016 - Segment 3 - In a special archive edition of Sound Bites, we hear a rebroadcast of a Good Food Gathering town hall meeting called Sandtown: Building a Model for Food and Jobs. Sound Bites: Institutional Food Procurement | SCOTUS and Chesapeake Bay | A Vegan Poem- March 10, 2016 - Segment 3 - On our latest segment of Sound Bites, we discuss institutional food procurement, a Supreme Court ruling about the Chesapeake Bay, and hear a poem about veganism. Sound Bites: Baltimore Ecosystem Study- March 3, 2016 - Segment 2 - In our latest edition of Sound Bites, our series about our food and our world, we speak with participants from the Baltimore Ecosystem Study, a consortium of long-term research projects examining Baltimore's ecosystem. Sound Bites: Afroculinaria’s Michael Twitty | Building The Black Yield Institute For Black Food Sovereignty- February 25, 2016 - Hour 2 - On our newest edition of Sound Bites - our series about our food and our world - we begin the hour with my conversation with Michael Twitty, culinary historian of African and African American foodways. We close the show with Eric Jackson, Servant-Director of the Black Yield Institute, who tells us about Black food sovereignty. Sound Bites: Backlash Against Chicken House Construction | Labor Conditions in Poultry Plants | Recipe: Catalina Byrd- February 18, 2016 - Segment 2 - On our newest episode of Sound Bites we discuss organizing on the Eastern Shore against the construction of chicken houses, a report on labor conditions in poultry processing plants, and hear a recipe from Catalina Byrd. Sound Bites: United Nations Comments On Curtis Bay Incinerator | Salisbury Teacher On Protecting Perdue’s Chickens- February 11, 2016 - Segment 3 - On our newest edition of Sound Bites, we look at the health implications of the proposed Curtis Bay Incinerator and discuss concerns animal rights activists have with Perdue. Sound Bites: “If There Are No New Farmers, Who Will Grow Our Food?”- February 4, 2016 - Segment 2 - Today on Sound Bites we discuss an article called "If There Are No New Farmers, Who Will Grow Our Food?" and speak with a panel of young farmers. Sound Bites: Community Impacts of Industrial Poultry Operations On The Eastern Shore- January 28, 2016 - Hour 2 - On our newest edition of Sound Bites, we look at Community Impacts of Industrial Poultry Operations. Last week I took a trip to Exmore, Virginia, a small town south of Chincoteague on Virginia's Eastern Shore, where I moderated a forum for the Citizens for a Better Eastern Shore, exploring community impacts of industrial poultry operations. Sound Bites: Maryland Legislators Debate Poultry Litter & Farmer’s Rights | What Are Food Policy Councils?- January 21, 2016 - Segment 2 - On Sound Bites, we reflect upon two agricultural issues before the Maryland General Assembly: The Poultry Litter Management Act and the Farmer's Rights Act. And we look at Food Policy Councils - what they are, and why they are important. Sound Bites: How We Define Organic Food | When Cultural Food Becomes Trendy- January 14, 2015 - Segment 3 - We play the latest episode of our series on our food and our world, Sound Bites, where we discuss definitions of organic food and discuss "how it feels when white people shame your food, then make it trendy." Sound Bites: Environment & Upcoming Legislative Session | Remembering Life & Work of Cultural Anthropologist Sidney Mintz- January 7, 2016 - Segment 2 - In our latest edition of Sound Bites, we discuss environmental legislation that will be addressed in the 2016 Maryland General Assembly and have a special tribute to the life and work of renowned cultural anthropologist Dr. Sidney Mintz, known as the Father of Food Anthropology. Sound Bites: Building a Model for Food and Jobs in Sandtown-Winchester- December 31, 2015 - Segment 2 - On this week’s Sound Bites, we bring you the first part of our Good Food Gathering town hall meeting, titled Sandtown: Building a Model for Food and Jobs. The town hall took place at Jubilee Arts, located in the Sandtown Winchester neighborhood of Baltimore, which was at the center of the Baltimore Uprising. Sound Bites: Fairfield Incinerator Protest Ends In Arrests | Environmental Justice In Maryland- December 17, 2015 - Segment 2 - On our newest edition of Sound Bites, we check in on a protest against the proposed Fairfield trash incinerator in South Baltimore. And we hear from the Maryland Environmental Law Clinic about their recent report on environmental justice in Maryland. Sound Bites: Fairfield Incinerator | The Chesapeake Bay and Agricultural Pollution- December 10, 2015 - Segment 3 - On our newest edition of Sound Bites, our series on food and our world, we begin with an update on the status of the Fairfield incinerator project. We then look at a report called The Chesapeake Bay and Agricultural Pollution: The Problem, Possible Solutions, and the Need for Verification. Sound Bites: Building A Resilient, Renewable Rural Region On Maryland’s Eastern Shore- December 3, 2015 - Segment 3 - On our newest edition of Sound Bites, our series about our food, our environment, and our world, we listen to a panel discussion I moderated two weeks ago at the 16th Eastern Shore Planning Conference in Easton, Maryland. The theme of this year's conference was "Powering Our Renewable Energy Future," and the conversation was titled "Getting the Right Mix: A Conversation on a Resilient, Renewable Rural Region." Sound Bites: Brassica Fest 2015 | Eating Wildly: Foraging for Life, Love , and the Perfect Meal by Ava Chin- November 19, 2015 - Segment 2 - Brassica fest is here, and for our newest episode of Sound Bites, Marc and his guest's preview the celebration of this beneficial plant. We also revisit Marc's discussion with writer and forager Ava Chin. Sound Bites: Future of Food in Baltimore, Part 2 | Fast Food Chains Move To Antibiotic-Free Meat- November 12, 2015 - Segment 3 - This week on Sound Bites, we look at the community work being done in Baltimore to rebuild the food system and discuss recent announcements by fast food chains to stop serving meat from animals raised with antibiotics. Sound Bites: The Future Of Food In Baltimore, Part 1- November 5, 2015 - Segment 3 - Marc moderates a discussion on the Future of Food in Baltimore at the Second Annual Town Creek Foundation Stakeholder Meeting. The panel of guests include: the Rev. Dr. Heber Brown, Sache Jones, and Kurt Sommer. Sound Bites: You Aren’t Dangerous Until You Can Speak Powerfully | Perdue Farms Buys Niman Ranch- October 29, 2015 - Segment 2 - We begin with a conversation Marc moderated earlier this week at the University of Maryland, called "You Aren't Dangerous Until You Can Speak Powerfully." Then we discuss the announcement last month that Perdue Farms bought Niman Ranch. The Baltimore Uprising & Food Sovereignty- October 22, 2015 - Segment 3 - Our show concludes with a ruminative glance at the correlation between food insecurity in Baltimore and what has come to be known as the Baltimore Uprising, the demonstrations and violence that occurred after the death of Freddie Gray. The Black Church Food Security Network- October 22, 2015 - Segment 2 - Next, we revisit our July discussion about the launch of the Black Church Food Security Network. Natasha Bowens On ‘The Color of Food: Stories of Race, Resilience and Farming’- October 22, 2015 - Segment 1 - We begin with an excerpt from Marc's August interview with author and photographer Natasha Bowens, about her book The Color of Food: Stories of Race, Resilience and Farming. Sound Bites: Black Urban Growers Conference 2015 | Jazz for Water, Preserving Gunpowder State Parks Streams and Wetlands- October 15, 2015 - Segment 4 - Marc continues exploring African American and urban farmers in leading systemic change in our food system. Sound Bites: A Game of Chicken? (Part 3) | Centro Ashé Herbs & Education- October 8, 2015 - Segment 3 - We begin with the final segment of a recent town hall on the Eastern Shore: A Game of Chicken? And we learn about Centro Ashé, a community rooted herbal education program in Southern Maryland. Sound Bites: A Game of Chicken? Pt. 2 | Future Harvest’s Young Farmer Training Program- October 1, 2015 - Segment 2 - On our latest episode of Sound Bites, we begin with a recent town hall where we discuss poultry industry expansion and then we look at the Future Harvest-CASA Young Farmer Training Program. Sound Bites: A Game Of Chicken – Poultry Industry Expansion, Community Health & Local Control In Delmarva (Part 1)- September 24, 2015 - Segment 3 - We listen to the first part of a town hall meeting I moderated: "A Game of Chicken?" We discussed poultry industry expansion, community health and local control, and hear how concerned residents in the Delmarva region are organizing to keep their rural communities and local waterways healthy. Sound Bites: Fermentation With Sandor Ellix Katz | EPA Cannot Approve Pesticide Linked To Honeybee Death | Spotlight On Farm To Chef- September 17, 2015 - Segment 2 - On the newest edition of Sound Bites, we begin with a segment on fermentation with Sandor Ellix Katz, examine a recent Federal Court decision, ruling that the EPA cannot approve a pesticide that has been documented in the deaths of honey bees, and look at Farm to Chef, a local culinary competition that benefits Days of Taste. Sound Bites: How We Define Organic Food | When Cultural Food Becomes “Trendy”- September 10, 2015 - Segment 2 - Join us for our newest episode of Sound Bites, where we look at organic food and talk to the author of the Washington Post article, "How it feels when white people shame your culture's food - then make it trendy." Sound Bites: Bottled Water | Vegan Soul Fest- September 3, 2015 - Segment 2 - In the latest episode of Sound Bites, we discuss the environmental impact of bottled water and speak to two of the organizers of the Vegan Soul Fest. Sound Bites: GMOs, Herbicides & Public Health | The State Of Oyster Farming & The Challenges Facing Oyster Farmers- August 27, 2015 - Segment 2 - On the newest episode of our series about our food and our world, Sound Bites, we begin the hour with a report on the potential public health consequences of GMOs (genetically-modified organisms). Then, we turn to the state of oyster farming in our region as we discuss the challenges facing oyster farmers. Sound Bites: Natasha Bowens’ ‘The Color of the Food’ | Race And Agriculture- August 20, 2015 - Segment 2 - In our latest episode of Sound Bites, our series on our food and our world, we are joined by Natasha Bowens, a beginning farmer and community grower in Western Maryland, who wrote the book "The Color of Food: Stories of Race, Resilience and Farming." Sound Bites: The Launch Of The Black Church Food Security Network- August 13, 2015 - Segment 3 - We listen back to a recent episode of Sound Bites, our series on our food and our world, about an exciting and important new initiative that was launched this summer in Baltimore: The Black Church Food Security Network. Sound Bites: The Safe and Accurate Food Labeling Act Under Fire | Critics Call It The “Deny Americans The Right To Know” Act- August 6, 2015 - Hour 2 - We listen back to a recent episode of Sound Bites, where we debated and analyzed a controversial bill making its way through Congress, called The Safe and Accurate Food Labeling Act. Sound Bites: Martin O’Malley | “Our Failed Food Movement”- July 30, 2015 - Segment 4 - In our latest episode of Sound Bites, we discuss the Maryland poultry industry's criticism of former Governor Martin O'Malley's stance on biofuel and an article called "Our Failed Food Movement." Sound Bites: Is The Safe And Accurate Food Labeling Act Denying Americans The Right To Know? | YES! Magazine: Meet the Scientist Breeding More Resilient Bees- July 23, 2015 - Segment 3 - We begin Sound Bites this week with a debate around a controversial bill making its way through Congress right now called The Safe and Accurate Food Labeling Act. Then, we talk about Yes! Magazine, "Meet the Scientist Breeding More Resilient Bees." Sound Bites: The Black Church Food Security Network- July 16, 2015 - Segment 3 - In our latest episode of Sound Bites, we take a look at an exciting and important new initiative that was just launched in Baltimore: The Black Church Food Security Network. Sound Bites: The Native & Black Roots Of American Barbecue | Whole Foods In The Spotlight For Massive Overcharging & Organic Rating System- July 9, 2015 - Segment 3 - On the newest episode of our series on our food and our world, Sound Bites, we begin with a fascinating look at the history of barbecue with Michael Twitty. Then, we look of Whole Foods, in light of recent allegations of their massive overcharging and complaints from organic farmers about their rating system. Sound Bites: Fight For Food Sovereignty In Baltimore’s Sandtown-Winchester Neighborhood | What Fast Track Will Mean For Food & The Environment- July 2, 2015 - Segment 4 - On the newest episode of our series on our food and our world, we bring you the second part of our Good Food Gathering, titled Sandtown: Building a Model for Food and Jobs. Then, we talk about what the passing of Fast Track trade authority will mean for our food and the environment. Sound Bites: Baltimore Food Environment Map | Veganism and Animal Sentience- June 18, 2015 - Segment 3 - On the newest edition of our series on our food and our world, Sound Bites, we talk about the 2015 Baltimore Food Environment Map Report and continue our conversation on veganism and animal sentience. Sound Bites: Update On 21-Mile Gas Pipeline | Complex Plight Of Chicken Growers Organizing To Change The System | Recipe: Vegan, Gluten-Free Alfredo- June 11, 2015 - Segment 3 - On our newest edition of Sound Bites, our series about our food and our world, we take a trip to Washington, DC, for a conversation on a number of issues around the poultry industry, focusing on the complex plight of contract chicken growers. We also hear a recipe for vegan, gluten-free alfredo. Sound Bites: Former Governor & Presidential Hopeful Martin O’Malley’s Environmental Record | Gunpowder Riverkeeper Halts 21-Mile Natural Gas Pipeline | Are Animals Sentient Beings?- June 4, 2015 - Segment 3 - On Sound Bites, our series about our food and our world, we begin the hour with a look at current Presidential hopeful Martin O'Malley's record on the Environment, hear how a Gunpowder riverkeeper halted a 21-mile natural gas pipeline from being constructed, and discuss whether animals are sentient beings. Sound Bites: President Obama’s Pollinator Health Task Force, Does It Go Too Far? | How Our Local Beekeepers Are Faring- May 28, 2015 - Segment 3 - On the newest edition of Sound Bites, our series on our food and our world, we return to the important topic of bees. First we look into the history and work of President Obama's White House Pollinator Health Task Force and hear how our local beekeepers are faring in our region. Sound Bites: Baltimore Uprising and Food Sovereignty- May 21, 2015 - Segment 4 - In the latest installment of our series about our food and our world, Sound Bites, we look at the connection between food insecurity in Baltimore and what has come to be known as the Baltimore Uprising, the demonstrations and violence that occurred after the death of Freddie Gray. Sound Bites: Good Food Gathering — Keeping The Tradition Of African American Farming Alive- May 7, 2015 - Segment 3 - On a new episode of Sound Bites, we broadcast of a very lively town hall meeting held on March 23 - one of our "Good Food Gatherings" in partnership with Baltimore Food & Faith Project - in which our panel of guests and the audience engaged in a discussion following a screening of the movie Homecoming, about the history of Black farmers in the U.S.
Sound Bites: 45th Earth Day – How Far The Environmental Movement Has To Go | Environmental Policy in Maryland- April 21, 2015 - Segment 3 - Wednesday is the 45th anniversary of Earth Day, and on Sound Bites our panel reflects upon how far we have come and how far we need to go. Then we discuss the food, farm and environmental issues covered in the 2015 Maryland State Legislative Session, which came to a close last week. Sound Bites: Baltimore’s Food System Vision- April 7, 2015 - Segment 2 - In this week's edition of Sound Bites, we listen in to a panel discussion Marc moderated on Baltimore's food-system planning, policy and partnership efforts and how people are shaping and implementing visions for a sustainable local food system. Sound Bites: Young Farmers In Baltimore City On Why They Farm & Their Communities | Finding The Best Matzoh Ball Soup- March 31, 2015 - Segment 2 - In a rebroadcast of Sound Bites, we host a panel of young farmers in Baltimore City, and hear about the best matzoh ball soup in Baltimore. Sound Bites: Fair Treatment For Farmworkers & The Human Cost Of Our Food Supply System- March 17, 2015 - Segment 3 - In our latest edition of Sound Bites, we listen to a panel Marc moderated about labor issues in the farming industry and movements for food and labor justice. Sound Bites: Fracking | Phosphorous Management Tool | African Fried Rice- March 10, 2015 - Segment 3 - In our latest installment of Sound Bites, we talk about fracking, the phosphorus management tool, and hear a recipe of for African fried rice from Michael Twitty. Sound Bites: Radical Farmers Use Fresh Food to Fight Racial Injustice | Debating The Maryland Farmers’ Rights Act | Tribute To Juanita Ewell Of Cherry Hill Urban Garden- March 3, 2015 - Segment 3 - This week on Sound Bites, we talk about how radical farmers are using fresh food to fight racial injustice, debate the Farmers' Rights Act that's before the Maryland General Assembly, and make a tribute to a local hero, Cherry Hill Urban Garden's Juanita Ewell. Sound Bites: Young Farmers In Baltimore City On Why They Farm & Their Communities | Finding The Best Matzoh Ball Soup- February 24, 2015 - Segment 3 - In our latest edition of Sound Bites, we host a panel of young farmers in Baltimore City, and hear about the best matzoh ball soup in Baltimore. Sound Bites: Fair Treatment For Farmworkers & The Human Cost Of Our Food Supply System- February 17, 2015 - Segment 4 - On our series about our food and our world - Sound Bites - we bring you a tape of a panel discussion from last Thursday at Red Emma's Bookstore and Café, which followed a screening of Food Chains, a documentary about the work of the Coalition of Immokalee Workers to achieve fair treatment for farmworkers. Sound Bites: Baltimore’s Food System Vision- February 10, 2015 - Segment 3 - In our latest edition of Sound Bites, we listen in to a panel discussion Marc moderated on Baltimore's food-system planning, policy and partnership efforts and how people are shaping and implementing visions for a sustainable local food system. Sound Bites: Governor Hogan’s Environmental Policies | Carole Morrison’s Expanding Vision For Agriculture On Delmarva- January 27, 2015 - Segment 4 - In this episode of Sound Bites, we examine changes in Maryland's environmental and agricultural policy under new Governor Larry Hogan. Then, we're joined by poultry farmer Carole Morison, who joins us to talk about the expansion of her farm and crowd sourcing campaign. Sound Bites: Governor-Elect Hogan’s Environmental Agenda | How Will Phosphorus Management Fare This Session? | 2015 Global Food Trends Related To Systematic Change- January 20, 2015 - Segment 3 - On our newest episode of Sound Bites, our series about our food and our world, we look to Annapolis to examine the environmental agenda of Governor-elect Larry Hogan and the fate of the Phosphorus Management Tool. We also talk to Dr. Wayne Roberts about his predictions for the global food trends of 2015, which may surprise you. Sound Bites: What Does Waterkeeper v. Hudson Trial Mean For Future Maryland Environmental Policies?- January 13, 2015 - Segment 4 - We look back at the historic 2013 ruling in the Waterkeeper v. Hudson case and the continuing debate on poultry farming and pollution in our Bay. Sound Bites: Top Food Stories Of 2014 | How Congress Will Impact Our Food & School Lunches- January 6, 2015 - Segment 3 - On our newest episode of Sound Bites, our series on our food and our world, we reflect upon the top food stories of 2014 with our panel of guests, and we discuss food-related issues on Congress' radar this year. Sound Bites: Doctors Concerned About Antibiotic Use On Healthy Animals | Maryland Poultry Farms Fined Over Pollution | Visit To Hidden Harvest Farm in Baltimore- December 30, 2014 - Segment 2 - In an archive edition of Sound Bites, we discuss antibiotic use among healthy animals, the fining of Maryland poultry farms over pollution, and we visit Hidden Harvest Farm in Baltimore. Sound Bites: Gather Baltimore’s Kickstarter Campaign | Plastics and Our Oceans | Schmaltz- December 23, 2014 - Segment 4 - In our latest episode in our series about our food and our world, Sound Bites, we hear about Gather Baltimore's kickstarter campaign, and take a look at the effect of plastics on our ecosystem. Sound Bites: Abusing The Chickens We Eat? | Bryant Terry’s ‘Afro-Vegan’- December 16, 2014 - Segment 3 - For the latest edition of our series on our food and our world, Sound Bites. We begin the hour with a look at an op-ed piece by NY Times columnist Nicholas Kristof, "Abusing Chickens We Eat." Then, listen in to a special archive as we talk with chef and food justice activist Bryant Terry about his book Afro-Vegan. Sound Bites: Where’s The Diversity in the Environmental Movement? | Diverse Legal Concerns for MD Agriculture- December 9, 2014 - Segment 4 - In a brand new episode of Sound Bites, we discuss the lack of diversity in the leadership of environmental organizations and discuss a recent report on top legal concerns for Maryland's agricultural community. Sound Bites: Maryland Environmental & Agricultural Policy — What Is Governor O’Malley’s Legacy?- December 2, 2014 - Segment 3 - In the latest installment of Sound Bites, our series about our food and our world, we host a Maryland Environmental and Agricultural Policy Roundtable on fracking and phosphorous management. Sound Bites: Delmarva Secretaries Of Agriculture On The Future Of Our Region- November 25, 2014 - Segment 3 - On our newest episode of our series on our food and our world, Sound Bites, listen to a panel I moderated last week for the ESLC's 15th Eastern Shore Planning Conference, where I talked with the three Delmarva Secretaries of Agriculture about agricultural and environmental issues important to the Delmarva region. Sound Bites: Phosphorus Management Tool |Baltimore’s Brassica Festival- November 18, 2014 - Segment 4 - This week on Sound Bites, we discuss Governor Martin O'Malley's move forward last week with the Phosphorus Management Tool and the Brassica Festival, happening this weekend in Park Heights. Sound Bites: Veteran Farmers | Effect Of Larry Hogan’s Election On Maryland Environmental & Ag Policy- November 11, 2014 - Segment 3 - On our Veterans Day edition of Sound Bites we begin the hour by talking to veterans who have embraced farming after returning home from war. Then, we close out Sound Bites by looking at last week's election results and the potential effect on Maryland's environmental and agricultural policy. Sound Bites: Dangers of Methane | “Bee-Friendly” Plants Actually Harmful To Bees | Baltimore’s Park Heights Farmers Market- November 4, 2014 – Segment 4 – In the newest edition of Sound Bites, we hear a commentary on the dangers of methane being released from the earth, we learn about a recent report on how supposedly “bee-friendly” plants actually contain neonicotinoid pesticides, and look at Baltimore’s Park Heights Farmers Market. Sound Bites: Doctors Concerned About Antibiotic Use On Healthy Animals | Maryland Poultry Farms Fined Over Pollution | Visit To Hidden Harvest Farm in Baltimore- October 28, 2014 - Segment 4 - It's the newest episode of Sound Bites, our weekly show on our food, our world, and our future! We begin the hour with a poll released last week indicating that 93% of all doctors are concerned about the routine use of antibiotics on healthy farm animals, and discuss poultry farms being fined over Chesapeake Bay pollution. We also visit Hidden Harvest Farm in Baltimore City. Sound Bites: How Institutional Buying Practices Can Impact Local Farmers, Both Conventional & Non-Industrial- October 21, 2014 - Segment 3 - In our latest episode of Sound Bites we examine the power of large institutions in purchasing food. We discuss both conventional and non-industrial agriculture in the context of institutional food buying. The panel participated in a wide-ranging discussion about the benefits, challenges and future of both models. Best of Sound Bites: Small Farmers Talk About Why They Farm- October 14, 2014 - Segment 2 - We have a roundtable with small farmers, including: Denzel Mitchell, Founder and Farm Manager, Five Seeds Family Farm and Apiary; Cheryl Carmona, Co-founder of Boone Street Farm in East Baltimore; Ted Wycall third generation farmer at Greenbranch Farm in Salisbury, MD; and Carole Morrison of Bird's Eye View Farm in Pocomoke City. Sound Bites: Greener Garden Urban Farm and Oak Hill Honey- October 7, 2014 - Segment 4 - On our newest edition of Sound Bites, we take a trip to the Greener Garden Urban Farm in Baltimore, where we will hear from: Warren and LaVette Blue, farmers at Greener Garden Urban Farm; and Willie Flowers, Executive Director of the Park Heights Community Health Alliance. We close out the show with a piece on harvesting honey In the city, with: Dane Nester, beekeeper at Oak Hill Honey in Baltimore. It was produced by former Sound Bites intern Maggie Dier. Sound Bites: Berkeley’s Soda Tax Failed / Phosphorus Management Tool / Wild and Scenic Film Festival- September 30, 2014 - Segment 3 - On the newest edition of Sound Bites, we talk about a controversial proposed tax in Berkeley, California ... on soda! We take a look at the debate in Maryland over the implementation of the Phosphorus Management Tool in Maryland, and get a sneak peak at the Wild and Scenic Film Festival. Sound Bites: Debating Agritourism | Perdue’s Power | CLF Aquaponics Project & Pesto Basil Recipe- September 23, 2014 - Segment 3 - We kick off our newest edition of Sound Bites with a discussion and debate on AgriTourism, in light of a controversial bill introduced last week by Baltimore County Third District Councilman Todd Huff. Then we discuss an editorial in the Baltimore Sun on Perdue, and hear a recipe for basil cashew pesto from the Hopkins' Center for a Livable Future Aquaponics Project at the Cylburn Arboretum. Sound Bites: Perdue Stops Antibiotic Use in Hatcheries | Cherry Hill Urban Garden in Baltimore | September Foraging- September 16, 2014 - Segment 3 - On a new episode of Sound Bites, we reflect upon the recent announcement that poultry producer Perdue plans to stop the use of antibiotics in its hatcheries, visit the Cherry Hill Urban Garden in Baltimore, and hear what wild edibles you can forage in the month of September. Sound Bites: The Meat Racket: The Secret Takeover of America’s Food Business- September 9, 2014 - Segment 3 - It's a special archive episode of Sound Bites! Listen in to the informative and lively town hall meeting with Christopher Leonard about his latest book The Meat Racket: The Secret Takeover of America's Food Business. The Meat Racket reveals the inner workings of the corporations that control the food business, and the power in Washington of the meat and poultry lobbies. Sound Bites: Can GMOs Feed a Hot & Hungry World? | Urban Beekeeping | Recipe from Boone Street Farm: Ground Cherry Salsa- September 2, 2014 - Segment 3 - It's a brand new episode of Sound Bites. We'll talk about a recent article from The Nation that asks the question Can GMOs Feed a Hot and Hungry World? We also learn about urban beekeeping and hear a recipe for ground cherry salsa from Baltimore's Boone Street Farm. Sound Bites: How We Talk About Climate Change- August 26, 2014 - Segment 3 - It's a brand new episode of Sound Bites, where we'll discuss climate change, particularly the way advocates, experts, and activists speak about it. Sound Bites: Debating ‘Don’t Let Your Children Grow Up To Be Farmers’- August 19, 2014 - Segment 3 - On a live (call-in) episode of Sound Bites, we look at the state of small farmers today. As a follow-up to last week's New York Times article "Don't let your children grow up to be farmers," the first question we ask is: Are small farmers able to survive and prosper off the land? Then, we hear from local small farmers about their experience. Sound Bites: US Apples Banned in EU | Chicken Nuggets | Eating Wildly- August 12, 2014 - Segment 3 - In our latest episode of Sound Bites, we discuss the EU's ban on apples from the US, hear about what is really in chicken nuggets, and learn about what kind of wild edibles you can find in the month of August. Sound Bites: Poultry Manure-Burning Power Plant on the Eastern Shore | 1 in 3 Restaurant Workers Food Insecure- August 5, 2014 - Segment 4 - We begin our newest episode of Sound Bites with an update on the status of the proposed poultry manure-burning power plant on Maryland's Eastern Shore. Then, we talk to writer Michelle Chen about new studies that show nearly one in every three restaurant workers suffers from food insecurity. Sound Bites: Pizza King | Phosphorous Regulation | Acting Well- July 29, 2014 - Segment 3 - In this episode of Sound Bites, we meet a man who has eaten pizza every day for the past 25 years, learn about Governor O'Malley's record on phosphorous regulation, and hear the second part of our final Good Food Gathering Town Hall Meeting: Acting Well. Sound Bites: Good Food Gathering — Acting Well- July 22, 2014 -Segment 3 - This month, Marc moderated another Good Food Gathering Town Hall Meeting, this time at the Netivot Shalom Congregation in Pikesville. We discussed "Acting Well," and explored how congregations and individuals can effect systemic change on our food system. Sound Bites: Dangers of Methane | “Bee-Friendly” Plants Actually Harmful To Bees | Baltimore’s Park Heights Farmers Market- July 15, 2014 - Segment 4 - In the newest edition of Sound Bites, we hear a commentary on the dangers of methane being released from the earth, we learn about a recent report on how supposedly "bee-friendly" plants actually contain neonicotinoid pesticides, and look at Baltimore's Park Heights Farmers Market. Sound Bites: Park Heights Farmers Market | Urban Foraging | Undercover Ag Drones | Special Recipe- July 8, 2014 - Segment 3 - On a brand new episode of Sound Bites, we discuss a farmers market in Park Heights, using drones to learn more about what's happening inside industrial agriculture operations, and hear two seasonal recipes. Sound Bites: Chesapeake Bay | Climate Justice | Gather Baltimore- July 1, 2014 - Segment 4 - We begin our weekly hour of Sound Bites by checking in with Tim Wheeler, reporter for The Baltimore Sun's environmental blog B'More Green, on the Chesapeake Bay. Next we talk about climate change across the U.S. with Jacqueline Patterson, Director of the NAACP Climate Justice Initiative; and Brentin Mock, a journalist who writes about environmental issues for Grist. We close out the show with a visit from Arthur Morgan, founder of Gather Baltimore. Gather Baltimore will be hosting a fundraiser spaghetti dinner next week. Sound Bites: School Lunch & The Hunger Gap | MD Enviro & Ag Legislative Priorities | Update: Cove Point LNG- June 24, 2014 - Segment 4 - On the latest edition of Sound Bites, we learn about the school hunger gap and what Congress has to do with school lunches, learn about the Maryland legislative priorities related to food, agriculture, and the environment, and get an update on the Cove Point LNG facility. Sound Bites: Good Food Gathering Town Hall Meeting: Donating Well- June 17, 2014 - Segment 4 - On a brand new episode of Sound Bites, we hear the Good Food Gathering Town Hall Meeting held last Thursday night at the Franciscan Center of Baltimore, in our latest episode of Sound Bites. Our inspirational panel talks about what it means to "Donate Well" and shares creative ideas and programs for providing healthy food to Baltimoreans in need. Sound Bites: Eating Wildly with Ava Chin | Bryant Terry’s ‘Afro-Vegan’- June 10, 2014 - Segment 3 - On the newest edition of Sound Bites we bring you two fascinating conversations around creative food gathering, preparing, and eating. First we talk with writer and forager Ava Chin, who joins us to talk about her memoir Eating Wildly: Foraging for Life, Love, and the Perfect Meal. Then, chef and food justice activist Bryant Terry tells us about his newest book Afro-Vegan: Farm-Fresh African, Caribbean, and Southern Flavors Remixed. Sound Bites: The Meat Racket-The Secret Takeover of America’s Food Business- June 3, 2014 - Segment 3 - We have a special episode of Sound Bites! We listen in on the informative and lively town hall meeting that took place on May 15 at the Enoch Pratt Free Library, featuring my interview with Christopher Leonard about his new book The Meat Racket: The Secret Takeover of America's Food Business. Sound Bites: Good Food Gathering on ‘Teaching Well,’ Part 2- May 27, 2014 - Segment 4 - In a new segment of our series about the food we eat, Sound Bites, we broadcast the second part of a fascinating and inspiring panel discussion and town hall meeting held two weeks ago at Pleasant Hope Baptist Church in Baltimore. The meeting is part of a series called Good Food Gatherings, produced in conjunction with Johns Hopkins' Center for Livable Future Food & Faith Project and Interfaith Power & Light. Sound Bites: Overfishing In The Bay? | Food And Faith- May 20, 2014 - Segment 3 - In our latest episode of Sound Bites, we ask the question "are the crabs and fish in the Chesapeake Bay being over-harvested?" And then we hear the first part of a fascinating and inspiring panel discussion and town hall meeting held last week at Pleasant Hope Baptist Church in Baltimore. The topic was Teaching Well: How can we educate our youth, adults, and communities about "good food?" Sound Bites: Is Soylent The End of Food? | How The Food Giants Hooked Us | CSX Derailment Pollutes James River | Recipe: Garlic Scapes- May 13, 2014 - Segment 4 - In the latest edition of Sound Bites, I talk with Bhaskar Sunkara about soylent, a powdered meal replacement. We also hear about the recent CSX train derailment polluting the James River, talk about how the food giants hooked us, and hear a recipe for garlic scapes, which are in season! Sound Bites: From Our Archives – Behind The Kitchen Door | A Kayak Trip Through Delmarva- May 6, 2014 - Segment 3 - This week on Sound Bites we start with a conversation about the poor working conditions in America's restaurant industry and take a kayak trip through the Delmarva peninsula. Sound Bites: Eat Less Chicken / American Apples Banned in Europe / The Bay Bridge Ospreys- April 29, 2014 - Segment 3 - We begin our newest edition of Sound Bites with a look at how much water it actually takes to raise and slaughter a chicken. Then, we explore why American apples were just banned in Europe and hear about the Bay Bridge ospreys that made headline news this week. Sound Bites: Cove Point | State Of The Bay | Will Allen- April 22, 2014 - Segment 3 - On the latest episode of Sound Bites, we talk about the Cove Point facility, the state of Chesapeake Bay restoration and the politics around it, and meet former pro-basketball player and urban farmer Will Allen. Sound Bites: Organic Agriculture | Valleys Of Baltimore County | Gerald Winegrad- April 15, 2014 - Segment 4 - It's a brand new episode of Sound Bites. We'll talk about organic farming with Coach Mark Smallwood, talk about the efforts to preserve the valleys of northern Baltimore County, and catch up with former Maryland State Senator Gerald Winegrad about the state of Chesapeake Bay restoration. Sound Bites: Dr. George Washington Carver- April 8, 2014 - Segment 2 - We discuss the life and legacy of George Washington Carver, in a special edition of Sound Bites! Our guests are: Mark Hersey, author of My Work Is That Of Conservation: An Environmental Biography of George WashingtonCarver; Denzel Mitchell, founder and Farm Manager of Five Seeds Family Farm and Apiary; and Tonya Bolden, author of the children's book George Washington Carver. Sound Bites: Prince George’s County Agriculture — Accokeek Foundation / P.A. Bowen Farmstead / Bald Eagle Farm- April 1, 2014 - Hour 2 - In this week’s episode of Sound Bites, we travel to Prince George’s County and visit three farms,The Accokeek Foundation at Piscataway Park; P.A. Bowen Farmstead; and cattle farmer Yates Clagett of Bald Eagle Farm; for perspectives on sustainability, land stewardship, and how to remain economically viable in a shifting marketplace. Sound Bites: All About Kids! / Hear the Maryland Crunch / Food Allergies / Improving School Lunches / Recipe: Oven “Fried” Chicken- March 25, 2014 - Segment 4 On the latest edition of Sound Bites, we focus on youth and food by looking at school breakfasts and lunches and young people and food allergies. Sound Bites: GMO Labeling / Environmental News / Black Liquor / Pesticides & Children’s Brain- March 18, 2014 - Segment 3 - On a new episode of Sound Bites, we discuss GMO labeling in Maryland, local environmental news, the defeat of the "black liquor" bill, and learn about how pesticides affect the brain. Sound Bites: Happy Hens / Station North Food Hub / What’s Your Kitchen Literacy?- March 11, 2014 - Segment 3 - This week on Sound Bites, we begin with Joel Salatin, full-time alternative farmer in Virginia's Shenandoah Valley. Then, we visit Baltimore's Liam Flynn's Ale House to talk about Open Plough and their new food menu. We close out the show with Ann Vileisis, author of Kitchen Literacy: How We Lost Knowledge of Where Food Comes from and Why We Need to Get It Back. Sound Bites: Talking Nutrition / Beginner Farmers / What’s In Your Chicken?- March 4, 2014 - Segment 4 - In this week's Sound Bites, we begin by talking nutrition and Future Harvest CASA's Beginner Farmer Training program. Then, we hear from the star of the new "Was This Chicken Inspected?" Food and Water Watch commercial. Sound Bites: Food Insecurity And Seniors | “Stop Cove Point” Protest & Dominion Energy Response | Poultry Fair Share Act Dead In Maryland?- February 25, 2014 - Segment 4 - In our latest episode of Sound Bites, we talk about food insecurity among seniors, hear about why some people oppose the retrofitting of the Cove Point facility to export natural gas, and look at the controversial Poultry Fair Share Act. Sound Bites: Conflicting Views On Meat And GMOs- February, 18, 2014 - Segment 3 - In a special archive edition, we bring you some of our favorite Sound Bites segments from the past month: The longstanding relationship of Americans and meat, with Dr. Maureen Ogle, historian and author of In Meat We Trust: An Unexpected History of Carnivore America; "The Five Biggest Meat Stories of 2013" with Tom Philpott, Mother Jones Food and Agriculture blogger; and Do GMOs matter? with Tom Philpott, Mother Jones Food and Agriculture correspondent; and Nathanael Johnson, food writer for Grist. Sound Bites: How The New Farm Bill Impacts SNAP | California Drought and The USA | Chesapeake Bay Moving In The Right Direction?- February 11, 2014 - Segment 4 - In our latest episode of Sound Bites, we look at the new Farm Bill's cuts to SNAP, the effects of the West Coast drought on the food system, and have a roundtable on the Chesapeake Bay. Sound Bites: Federal Farm Bill Slated To Pass | GMO Labeling Returns To Annapolis Legislative Agenda- February 4, 2014 - Segment 4 - We discuss and debate of the latest federal Farm Bill, which is slated to pass through Congress today, on the newest installment of Sound Bites. Then, we hear from Maryland Senators on the debate taking place in the Maryland Legislature over whether to label foods as containing GMOs. Sound Bites: St. Brigid | Beginnings of a Delmarva Food Hub | Do GMOs Matter? | ShorePower Project- January 28, 2014 - Segment 4 - We're talking food and farming, in our newest edition of Sound Bites! SB finds its patron saint, we learn about the beginnings of a Delmarva food hub, we ask the question: Do GMOs matter?, and hear about a new project seeking to reduce energy expenditures on the Eastern Shore. Sound Bites: Coalition of Immokalee Workers’ Victory | Marketing “Less Bad Food” To Millenials | Sustainability & The Legacy of George Washington Carver- January 21, 2014 - Segment 3 - It's the newest episode in our series about the food we eat, Sound Bites! We discuss the Coalition of Immokalee Workers' victory with Wal*Mart, which announced it would join the Fair Food Program. Then, we talk about marketing "less bad food" to Millenials, and the legacy of George Washington Carver, misunderstood but incredibly important inventor and agricultural contributor. Sound Bites: Future Harvest: Farming For Profit & Stewardship Conference | GMOs & Cheerios | Maureen Ogle’s “In Meat We Trust”- January 14, 2014 - Segment 4 - In the newest edition of Sound Bites, we get a sneak preview of the 15th Annual Farming for Profit and Stewardship Conference hosted by Future Harvest CASA, which will be held this weekend. We also talk about GMOs and General Mills' decision to stop using them in Cheerios, and look at the history of Americans and meat with historian and author Dr. Maureen Ogle. Sound Bites: Salmonella & Flaws In Poultry Safety System | Food, Ag and Environment Stories to Watch in 2014 | This Year’s Biggest Meat Stories- January 7, 2014 - Segment 4 - Are you careful with uncooked poultry? In the newest edition of Sound Bites, we look at a recent study by the Pew Charitable Trusts that highlights weaknesses in the poultry safety system. Then, we predict what the big food, agriculture and environment stories of 2014 will be, and look at the biggest meat stories of 2013. Sound Bites: 30th Anniversary of the Chesapeake Bay Agreement | Water & The Columbia Gas Pipeline | An Amazing Radish- December 17, 2013 - Segment 3 - We begin this week's Sound Bites with a look at the 30th anniversary of the Chesapeake Bay Agreement, the implications of the controversial Columbia Gas Pipeline, and the potential of radishes to fight runoff. Sound Bites: Food Insecurity in Maryland, The Richest State in the Nation- December 10, 2013 - Hour 2 - In partnership with the Center for a Livable Future, we launch a new feature: Hunger in the Richest State. Why does the richest state in the nation have so many food-insecure people? We hear the stories of those struggling to put food on the table – from Cambridge to Baltimore to Western MD – and learn about the good work that is being done to address the need. Sound Bites: Poultry Fair Share Act | Saving Bees | All About Fermentation- December 3, 2013 - Segment 4 - On Sound Bites, we discuss the Poultry Fair Share Act, which proposes that large agribusinesses such as Perdue and Tyson be charged a fee per head for chickens grown on the farms contracted with them, bees and pesticides, and fermentation. Sound Bites: History of Ag Policy Since 1980s | Controversy Surrounding Fracking | Recipe: BlackSauce Kitchen’s Short Ribs- November 26, 2013 - Hour 2 - On this week's episode of Sound Bites, we hear about the history of agricultural policy in the US since the 1980s, gain a deeper understanding of the controversy surrounding fracking, and hear a brand new recipe for short ribs from BlackSauce Kitchen. Sound Bites: MDA Pulls Phosphorus Management Regs | Whitelock Community Farm Expands | Recipe: Sweet Potato Biscuits From Blacksauce- November 19, 2013 - Segment 3 - This week on Sound Bites, we look at the Maryland Department of Agriculture's decision to withdraw proposed phosphorus management regulations. We also hear about a community event taking place at Whitelock Community Farm in Baltimore's Reservoir Hill neighborhood, and hear a recipe for sweet potato biscuits from Damian Mosley of Blacksauce Kitchen. Sound Bites: Food Safety Modernization Act | GMOs & Public Opinion | Black Farmers and Urban Gardeners Conference- November 12, 2013 - Segment 3 - We begin the newest episode of our series on the food system, Sound Bites, talking about the Food Safety Modernization Act. Then we talk about the GMO labeling measure that failed in Washington and hear a report back from the Black Farmers and Urban Gardeners conference. Sound Bites: Real Food Comes To Hopkins | Political Food News Roundup | Recipe From Afroculinaria- November 5, 2013 - Segment 4 - On the newest episode of Sound Bites. we report an exciting development in the real food movement that took place last week right here in Baltimore. Then we get a roundup of political food news and hear a recipe from Michael Twitty of Afroculinaria. Sound Bites: Black Farmers Lawsuit, Spying Grocery Shelves, And Gleaning With Gather Baltimore- October 30, 2013 - Segment 4 - In our latest episode of Sound Bites, we hear about a lawsuit involving discrimination against black farmers, spying devices on grocery shelves, and produce gleaning on local farms. Sound Bites: Food Stamp Challenge | What’s In That Chicken Nugget? | Local Turkeys For Thanksgiving- October 22, 2013 - Segment 3 - We look at Maryland Hunger Solution's Food Stamp Challenge, on the latest edition of Sound Bites! We also look at what's inside that chicken nugget and learn about a duo that's raising turkeys locally. Sound Bites – Michael Moss on Salt Sugar Fat: How the Food Giants Hooked Us- October 15, 2013 - Hour 2 - In the latest episode of Sound Bites, we look at how "Big Food" has lured us into eating high-fat, low-nutrition foods over the past century, when Pulitzer Prize-winning investigative reporter Michael Moss joins us to discuss his book Salt Sugar Fat: How the Food Giants Hooked Us. Sound Bites: Government Shutdown’s Impact on Food | Arsenic in Animal Feed | Trans-Pacific Partnership & Food Safety- October 8, 2013 - Segment 3 - We will discuss how the government shutdown is affecting food and agriculture on the latest edition of Sound Bites! We also talk about new restrictions on arsenic in animal feed and a new free trade agreement's impact on food safety. Sound Bites: SNAP And Monsanto- October 1, 2013 - Segment 2 - It's a new episode of Sound Bites. We'll hear about cuts to SNAP benefits and a legislative provision that had been protecting Monsanto by allowing biotechnology companies to continue selling genetically-modified seeds even after a court had blocked their sale over safety concerns. Sound Bites: Hunger In The Richest State – Exploring Food Insecurity In Maryland- September 24, 2013 - Hour 2 - In partnership with the Center for a Livable Future, we launch a new feature: Hunger in the Richest State. Why does the richest state in the nation have so many food-insecure people? We hear the stories of those struggling to put food on the table - from Cambridge to Baltimore to Western MD - and learn about the good work that is being done to address the need. Sound Bites: Chicken Litter, Coffee, And Pasta- September 17, 2013 - Segment 2 - It's a new episode of Sound Bites. We'll discuss new regulations on phosphorus and the use of chicken manure as fertilizer, sustainable coffee, and a pasta recipe. Sound Bites: Hudson/Waterkeeper Case | No-Till Farming- September 3, 2013 - Segment 2 - On the latest episode of Sound Bites, we look at the latest news on the Hudson/Perdue/Waterkeeper trial, and learn about no-till farming. Sound Bites: Future Harvest/CASA’s Beginner Farmer Trainer Program- August 27, 2013 - Segment 3 - Stay tuned for the latest edition of Sound Bites! Have you ever thought about starting your own farm? This week our topic is new farmers and Future Harvest/CASA's (Chesapeake Alliance for Sustainable Agriculture) Beginner Farmer Trainer Program. Sound Bites: Poultry Farmers | Chicken Waste As Alternative Energy Source?- August 20, 2013 - Hour 2 - On the newest edition of Sound Bites, we're talking chickens! A diverse group of poultry farmers speak candidly about their work, and we get information about an idea to burn chicken litter as an alternative source of energy. Sound Bites: Rural MD Needs Immigration Reform | Update: Gather Baltimore | Why Bees Are Dying- August 13, 2013 - Segment 4 - This week on Sound Bites, we hear an opinion on how immigration reform could positively impact rural Maryland, get an update from Arthur Morgan on all things Gather Baltimore, and learn about a new study completed by the USDA and the University of Maryland that gives insight into why bees everywhere are dying. Sound Bites: 50 Million Hungry In Richest Country | Are America’s Food Debates Just White Men Talking?- August 6, 2013 - Segment 3 - We start this week on Sound Bites by talking to Rose Aguilar, who provides a commentary related to her recent op-ed, "Richest country's empty plates." Then, we discuss race, class, and the food movement with a diverse roundtable of guests. Sound Bites: Warehouse-Raised Fish | McDonald’s & Fast Food Workers | Farmer Profile: Charles Wright- July 30, 2013 - Hour 2 - On a new edition of Sound Bites, we ask the question: as our waterways become more polluted, will fish be raised in warehouses in our cities? Then, we discuss fast food workers and hear a profile of an Eastern Shore farmer, Charles Wright. Sound Bites: Urban Farming, No SNAP Benefits For Violent Offenders, & A Fermentation Recipe- July 23, 2013 - Segment 3- On this live episode of Sound Bites, we discuss urban farming with Five Seeds Farm and the Baltimore Free Farm, the Senate's amendments to the Farm Bill that would bar people convicted of violent crimes from receiving benefits for life, and fermentation with Sandor Katz. Sound Bites: MD Pesticide Reporting Work Group | Recipe: Kale Smoothies | Malik Yakini On Racism In The Food System- July 16, 2013 - Hour 2 - It's another episode of Sound Bites! We begin the hour talking with two members of the Maryland Pesticide Reporting and Information Work Group who hold very different perspectives, hear a delicious and healthy recipe for kale smoothies, and talk to Malik Yakini about his work in Detroit and racism in the food system and food movement. Sound Bites: Transatlantic Trade and Investment Partnership | Nutrient Trading & The Chesapeake Bay | A Kayak Trip Through The Delmarva Peninsula- July 9, 2013 - Segment 3 - On a new episode of Sound Bites, we discuss what the newly-negotiated Transatlantic Trade and Investment Partnership with the EU means for our food, what a Bay-wide nutrient trading program could mean for the health of the Chesapeake Bay, and take a trip through the Delmarva peninsula with Tom Horton and Bill Nelson. Sound Bites: Michael Twitty On Paula Deen | Supreme Court & Sustainable Development | Slave Labor Processing Shrimp | Farm Alliance Of Baltimore City- July 2, 2013 - Segment 3 - In the latest episode of Sound Bites, we reflect on Paula Deen and southern cuisine, the Supreme Court's decision that impacts sustainable development, slave labor and shrimp, and the Farm Alliance of Baltimore City. Sound Bites: Farm Bill Fails | Obesity A Disease? | Shad Dwindling In MD | Recipe: Gluten-Free Strawberry Cupcakes- June 25, 2013 - Hour 2 - On another live episode of Sound Bites we continue our discussion of the Farm Bill, which the House of Representatives failed to pass last week. Then, we talk about the AMA's decision to classify obesity as a disease, get a report on dwindling shad populations in Maryland, and hear a recipe for gluten-free strawberry cupcakes. Sound Bites: What This Farm Bill Means | Baltimore Free Farm | Union Graze Market | Recipe: Spaghetti Aglio e Olio- June 18, 2013 - Segment 5 - On Sound Bites, we continue our dialogue on the Farm Bill, which has been passed in the Senate but is still under debate in the House, look at the Baltimore Free Farm's fight to keep lots from being sold by the city, visit a new farmer's market in Baltimore, Union Graze, and hear a recipe for spaghetti aglio e olio. Sound Bites: Farmer’s Roundtable; Brickyard Educational Farm Update; Recipe: Garlic Scapes; The Gaza Kitchen- June 11, 2013 - Hour 2 - On this live episode of Sound Bites, we talk to Charles Wright and Ted Wycall about issues impacting farmers, get an update on Brickyard Educational Farm in Montgomery County, hear a recipe for garlic scapes, and hear more about a new cookbook, The Gaza Kitchen: A Palestinian Culinary Journey. Sound Bites: Does Report On Arsenic & Chicken Matter? ; Monsanto Watch; And Langston Hughes’ “Freedom’s Plow”- June 4, 2013 - Segment 4 - We kick-off another live episode of Sound Bites with a debate over the Johns Hopkins University study on arsenicals in chicken, and we look at Monsanto in the news with Tom Laskawy and Tom Philpott. Then, Blain Snipstal reads a Langston Hughes poem that highlights the importance of African Americans in agriculture and farming. Sound Bites: Urban Farming, No SNAP Benefits For Violent Offenders, & A Fermentation Recipe!- May 28, 2013 - Hour 2 - On this live episode of Sound Bites, we discuss urban farming with Five Seeds Farm and the Baltimore Free Farm, the Senate's amendments to the Farm Bill that would bar people convicted of violent crimes from receiving benefits for life, and fermentation with Sandor Katz. Sound Bites: Arsenic In Our Chicken; Supreme Court’s Monsanto Ruling; Bay Oysters; and Salt Sugar Fat- May 22, 2013 - Hour 1 - This week on Sound Bites, we learn about a study measuring arsenic in the chicken we eat, seed giant Monsanto's victory in the Supreme Court, and oyster restoration projects in the Chesapeake Bay. Then, we talk to Michael Moss about his book on processed food and America's obesity crisis: Salt Sugar Fat: How the Food Giants Hooked Us. Sound Bites: African American Farmers, Dwindling Bee Populations, And Gather Baltimore- May 15, 2013 - Segment 1 - We launch our first live episode of Sound Bites with conversations about African-American farmers in the US, dwindling bee populations, and a program that collects produce donated by farmers and distributes it to people who don't have access to healthy food sources, through local hospitals, meal programs, and faith communities. Sound Bites: How environmental and agricultural legislation affects the economic and ecological health of the Delmarva peninsula- May 9, 2013 - Segment 2 - We have a new episode of Sound Bites. We spoke with different environmentalists, farmers, and public officials about how environmental and agricultural legislation affects the economic and ecological health of the Delmarva peninsula. Sound Bites: Malik Yakini And Labeling Genetically Engineered Foods- May 2, 2013 - Segment 3 - It's the latest episode of Sound Bites, featuring Malik Yakini, Executive Director of the Detroit Black Community Food Security Network, and a debate on whether or not genetically engineered foods should be labeled. Sound Bites: Agricultural Policy, Transforming the Food System, and a Seasonal Pumpkin Recipe- April 18, 2013 - Segment 3 - This week on Sound Bites, Wenonah Hauter teaches us about the consolidation of the food industry, we bring you Real Food Challenge's second national summit on changing the food system, and raw and vegan food chef Skai Davis shares a seasonal pumpkin recipe. Sound Bites: Monsanto Rider, Food & Ag News, Alternatives To The GDP- April 4, 2013 - Segment 3 - We debate the Monsanto Rider, which caused a storm when it was anonymously inserted into the Agricultural Appropriations Bill passed by Congress, the latest food and agricultural news, and how we might measure an economy beyond the GDP. Sound Bites: Ag Certainty, What the Pesticide Information Act Means for Maryland & A Palestinian Easter Recipe- March 28, 2013 - Segment 3 - This week on Sound Bites, we talk about the Ag Certainty Bill and the Pesticide Information Act, both of which are making their way through the General Assembly in Maryland right now, and hear a Palestinian Easter recipe. Sound Bites: Farmer’s Markets, Race, & Food Access In Our Region And Beyond, Plus A Unique Passover Recipe- March 21, 2013 - Segment 3 - It's a new episode of Sound Bites. We look at farmers markets in Maryland and beyond and their connection to race, food access, and food insecurity. We learn about a project that's getting food that would otherwise go to waste into the hands of those that need it - Gather Baltimore - and hear a unique Passover recipe that fuses African-American and Jewish tradition. Sound Bites: Shirley Sherrod, a St. Patrick’s Day Recipe and More!- March 14, 2013 - Segment 3 - This week we have a conversation about the poor working conditions in America's restaurant industry, talk to Shirley Sherrod, former US Department of Agriculture official, learn about recent studies on sugar and the Mediterranean diet, and get a traditional Irish recipe in honor of St. Patrick's Day. Sound Bites: Monsanto In The Supreme Court; Plastic In Our Food; Visions For Transforming The Food System- March 6, 2013 - Hour 2 - It's a new episode of Sound Bites. We'll look at the Bowman vs. Monsanto case, recently heard in the Supreme Court, which addresses the question of who owns the rights to Monsanto's genetically engineered RoundUp Ready seeds, plastics in our food, and visions for transforming the food system. Sound Bites: Food Industry Consolidation, Transition to Organic Grain, and Healthy Soul Food- February 28, 2013 - Hour 1 - On our newest episode of Sound Bites, Wenonah Hauter shares her perspective on how consolidation of food and agricultural companies has affected both conventional and organic farming, we talk how farmers transition from conventional to organic farming with Mary-Howel Martens, get an update on Brickyard Educational Farm, and hear a seasonal soul food recipe by Mookie Hicks. Agricultural Policy, Transforming the Food System, and a Seasonal Pumpkin Recipe- February 21, 2013 - Hour 2 - This week on Sound Bites, Wenonah Hauter teaches us about the consolidation of the food industry, we bring you Real Food Challenge's second national summit on changing the food system, and raw and vegan food chef Skai Davis shares a seasonal pumpkin recipe. History of Agricultural Policy in the US- February 14, 2013 – Segment 3 - We begin with another passage from our interview with Wenonah Hauter, Executive Director of Food and Water Watch and author of Foodopoly: The Battle Over the Future of Food and Farming in America. Wenonah discusses the history of agricultural policy in the United States since the 1980s. The Future of Food and Farming- February 7, 2013 - Segment 3 - Interviews with Wenonah Hauter, author of Foodopoly: The Battle Over the Future of Food and Farming in America, and the Executive Director of Food and Water Watch; Sophia Maravell, Brickyard's Education Director, and Carissa Lovelace, Campaign Director of Save This Soil; and Dr. Lorne Garretson, Professor Emeritus of Pediatrics at Emory University. Reporting Pesticides in Maryland and What Waterkeeper/Perdue Means for the Future- This week, we discuss the controversy over pesticides in our environment with the release of two reports detailing the prevalence of pesticides in the Chesapeake Bay, and a new piece of legislation going before the Maryland General Assembly that would require pesticide applicators, like farmers and pesticide sellers, to report information about them to the state. Status of School Lunch Reform in Baltimore- It's a new episode of Sound Bites, a show about the future of our food system. This week, we take a look at what's happening with school lunch reform, examining trends across the country and in Baltimore City. This week on the latest edition of Sound Bites we take a look back at the biggest food, agriculture, and environmental stories of 2012, with Mother Jones blogger Tom Philpott and commentator Tom Horton. This week on Sound Bites, we speak with members of Red Tomato. Red Tomato is a non-profit food hub that connects wholesale growers to supermarkets and other retailers located in the Northeast. Mapping Food in Maryland & African-Americans and Poultry on the Eastern Shore- We turn to our weekly exploration of the future of our food system, Sound Bites. This week on the show, we hear about the Johns Hopkins Center for a Livable Future's Food Mapping project from project manger Amanda Behrens and data specialist Julia Simons. It's time for another episode of Sound Bites, our series on the food system. On our latest episode of Sound Bites, Anna Lappe, author, educator and sustainable food advocate, joins us to talk about Food MythBusters a multi-media platform that uses animated and short live-action documentaries to debunk myths about sustainable food and farming. It's time for another episode of Sound Bites. This week, we bring together a diverse group of farmers from across Maryland to share the major impediments they face trying to share their products with people all across the region, and hear their ideas for a more supportive system. November 8, 2012 – Hour 2- We bring you another episode of Sound Bites. This week on the show, we speak with members of Red Tomato. Red Tomato is a non-profit food hub that connects wholesale growers to supermarkets and other retailers located in the Northeast. This week on Sound Bites, a show about the future of our food system, we talk to a diverse panel of farmers and experts about the Farm Bill, what it means now that the bill was not passed. The Senate voted on and passed the Farm Bill, but the U.S. House of Representatives' bill failed to reach the House floor. October 4, 2012 – Hour 2- We present a new episode of Sound Bites, a show about the future of our food system. We take an in-depth look at one story in particular, Nick's Organic Farm in both Potomac and Frederick, MD. Farmer Nick Maravell's Potomac location is in jeopardy because of a Montgomery County plan to develop the land he has rented for the past 32 years into soccer fields. That plan is currently on a hold and pending trial. It's time for this week's episode of Sound Bites! It's our latest edition of Sound Bites! This week we ask the question: Are organic foods really more nutritious than other foods? This week's episode of Sound Bites explores the debate surrounding genetically engineered and genetically modified foods. "Sustainability" has been a running theme in our Sound Bites series over the past year and a half, and tonight you will hear an episode that illustrates the many different understandings of that theme. Included in the mix will be voices of rural and urban farmers, environmentalists, and food and agricultural experts. In our most recent episode of Sound Bites, we travel to Prince George's County and visit three farms, The Accokeek Foundation at Piscataway Park; P.A. August 16, 2012 – Hour 2- Our Sound Bites series continues with an exploration of Baltimore's blossoming urban farming movement.